NPC’s, or Non-Player Characters, are equally as important to the world of Wyvern Rising as the PC’s. The responsibility of an NPC is to perform the tasks of essential, already created characters for the plot of the story. It’s also common for the staff at Wyvern to ask you to create a quick character concept, and the NPC you are sent out as is only as good as you make it. How Do I NPC at Wyvern Rising, and What is Expected of Me? First, let me start by saying WE LOVE OUR NPC’S! Without you, this game could not entertain. Each and every person who signs up to be an NPC with Wyvern Rising, or who takes their mandatory shift throughout the weekend, is an integral part of our game. Full-Time NPC: If you sign up for the weekend as a full-time NPC, there is no cost for you to attend. You would report to check in at the Mess Hall building (prior to 8PM) and sign in as an NPC. If you arrive after 8PM, please head to ‘Logistics’, which is labeled as the ‘Director’s Cabin’ on both the Daddy Allen and Shehaqua camp maps. PC Mandatory NPC Shift: Each PC is expected to sign up for a 3 hour NPC shift upon check in. When you report to Logistics for your shift, please remove all character garb and props and store them in an out of game area in your cabins (such as under your bed). Do not bring your character costuming, weapons, or accessories to logistics with you. If you do, you will be asked to keep all of it outside regardless of the weather. If you are late for your shift, you will be expected to stay late to complete the total 3 hours of your shift. If you do not show up for your scheduled shift, you forfeit your build gained for the weekend and lose any skills learned that weekend (build is refunded). We expect our NPCs to be ready and able to assist in a variety of ways throughout the weekend with combat roles, role playing roles, mod site set up and tear down, and kitchen help, as well as other necessary situations that may present themselves throughout the weekend. Should you have any physical limitations that would prevent you from participating in certain roles, please privately make that clear to a Staff Member or Director who can work with you to find areas you are able to help with. In order to gain your build for NPCing for the weekend, you are expected to participate. If you do not intend to participate or comply with requests from the Staff or Directors, please do not come as an NPC for the weekend. We rely on those who sign up to help to actually provide the help promised. 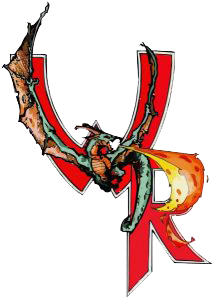 Wyvern Group LLC reserves the right to ask anyone, at any time, for any reason, to leave the premises of the camp. If for any reason you feel that a request brought to you by a Staff Member is unreasonable, please approach one of our Directors who will discreetly work with you to rectify the situation. Black clothing, with no graphics or logos: Should you have neutral-looking garb that you would like to wear or bring to assist with your NPC costuming, please feel free! We ask that you do not keep your personal costuming or belongings in Logistics, as there is a chance it could get inadvertently scooped up and tossed in with the NPC costuming. Plenty of socks: Whether a fresh morning dew on a beautiful day or a rainstorm that unexpectedly falls, there is a decent chance your socks are going to get wet. Please plan for extra socks as well as comfortable shoes so you can be at your best throughout the weekend. Hygiene products: Let’s talk about hygiene. The logistics buildings we use are generally on the smaller side. It can get hot, cramped, and sweaty very rapidly, especially in the summer months. We ask that you are mindful of your personal hygiene, and wear or bring products that can help with this. Personal food and drink: While Wyvern Group LLC does provide a meal on Saturday around 6pm, the other food throughout the weekend is only purchasable. Therefore, please plan to either bring your own food and drink to store in the cooler in the back of the Mess Hall, or bring extra funds to purchase a food card that can be used to obtain hamburgers, cheeseburgers, corn dogs, and chicken patties. Sleeping Gear: When you arrive to camp, we will show you where you can place your belongings in our NPC cabins. We do not have extra bedding or pillows (as we all bring our personal belongings), so we are unfortunately unable to provide you with these if you do not have them. Please remember that in Northeastern Pennsylvania, even summer nights can turn cool rapidly. Please prepare for this. Water: While logistics will have some water bottles they can provide, please bring your own source(s) of water, or at least a reusable bottle that you can fill up in the Mess Hall throughout the weekend. Phone chargers: There are many cabins at Hickory Run that are without power. Please plan accordingly. You are welcome to charge your phones in kitchen at the Mess Hall, or in one of the out of game buildings that have power. Please keep in mind that Wyvern Group LLC is not liable for any lost or stolen belongings throughout the weekend. Flashlight: Hickory Run does not have much in the way of outdoor lighting, especially around the NPC cabins. Please bring a flashlight in order to save yourself a lot of OOG stumbling around in the dark. There is no cost to NPC for an event weekend, however players must still pay the annually required Membership Fee. For more information Contact Wyvern Rising Staff. When you NPC you receive an Event Credit. This Event Credit may be redeemed for $10 off your next event, +1 Build Point that can be used during character creation (up to a maximum of 10 Build Points that can be used at character creation), or +1 Build Point to be added to your unspent Build Point total.